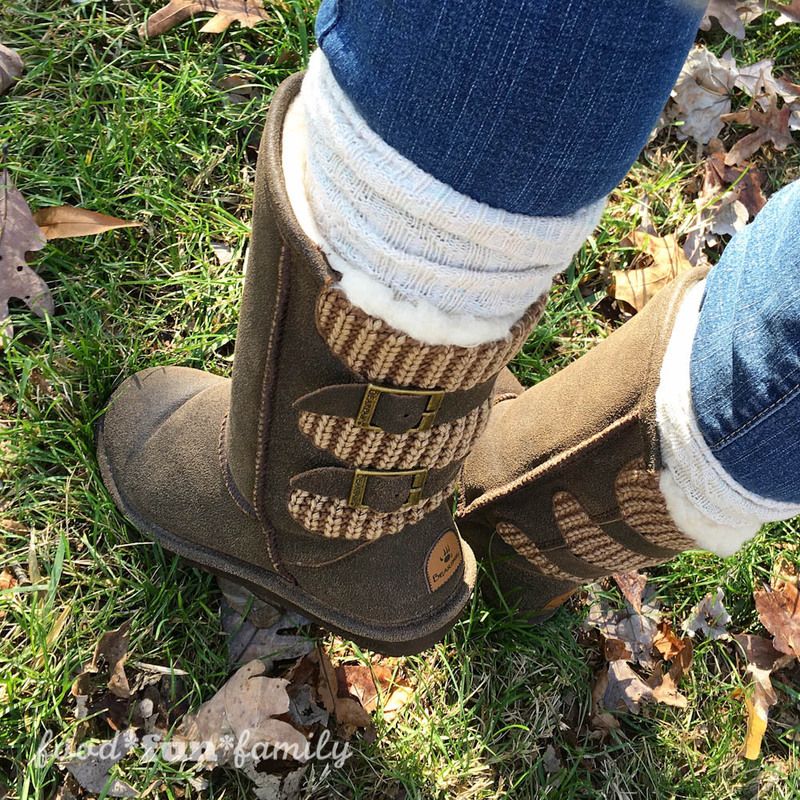 You are here: Home / Reviews / Three Cheers for Boot Season! 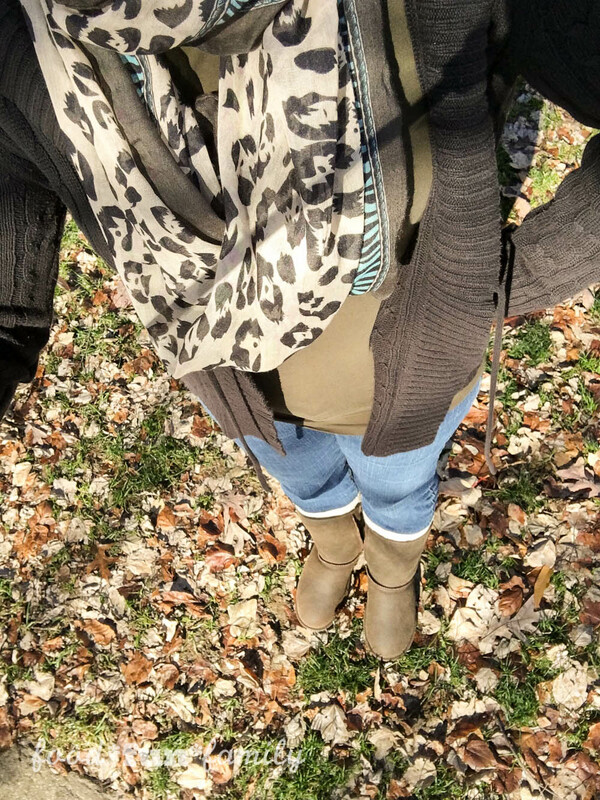 I am so happy that it’s boot season! 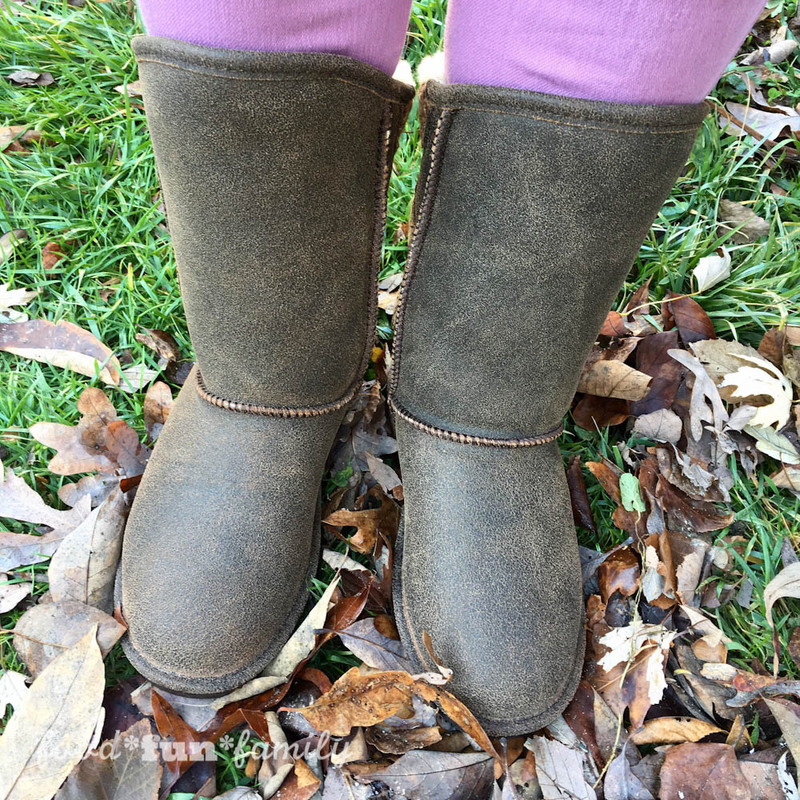 I was never much of a boot person until just about 3 years ago when I was converted thanks to my oldest daughter’s boot wish list. Now I’m hooked! I love shopping for boots like some women like shopping for purses, so Famous Footwear is naturally one of my favorite places to go. The selection, quality, and prices can’t be beat! I was at Famous Footwear earlier this week looking for my next favorite pair of shoes. Of course, I had to try on a few dozen pair. I tried on waterproof boots, cold weather boots, tall boots, short boots, and even a few pairs of shoes that weren’t boots at all. I finally settled on the BEARPAW Boshie Winter Boot because 1) they made my feet feel like they were walking on clouds (not that I have personal experience with cloud-walking, but I can imagine), 2) they were in a color (chestnut) that was currently missing from my boot collection and 3) the buckle and knit details on the back of the boot were absolutely adorable. 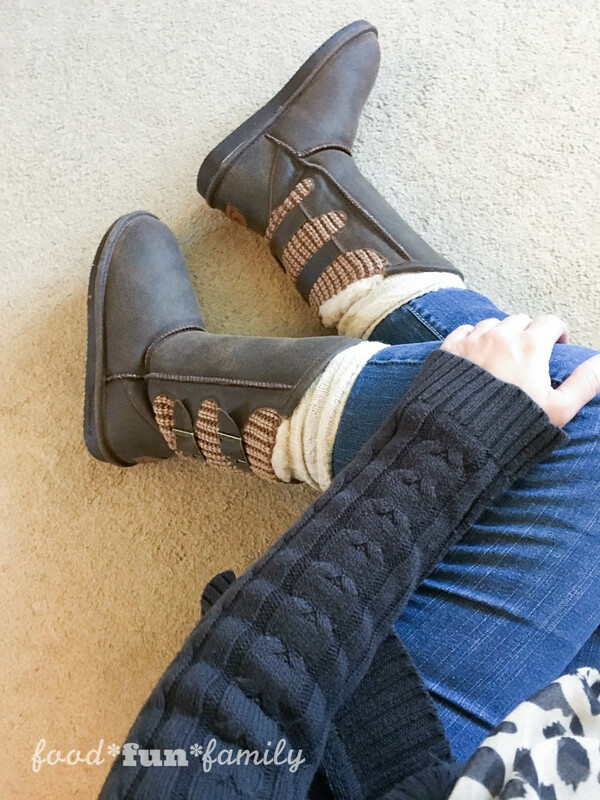 I’m not a fashionista by any means, but I’ve already gotten compliments on my new boots, and I was so happy with how well they went with a pair of jeans, a scarf, and a sweater. That’s basically my winter outfit of choice – I like warm, cozy, and comfortable, and if I can fit a little bit of “cute” in to the picture, then I’m a happy girl. Now that I’m sporting a new pair of winter boots, I can see my 12-year-old daughter eyeing them with that “when are you going to get ME a new pair of boots?” look on her face. 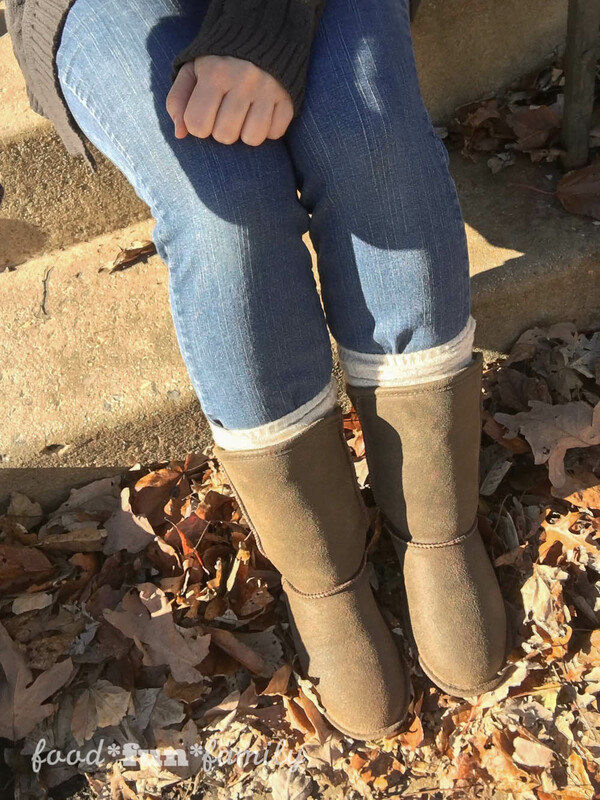 She rocked her Christmas present Bearpaw boots from last year all the way through the summer (yes, even with shorts) and they’re still going strong. But I know how she feels. There are never too many boots. Check out the Famous Footwear #ohsofamous style gallery – a fun place to get inspiration, explore what others are wearing, and see the variety that Famous Footwear offers. And after you browse what everyone else is wearing, it’s your turn to share your own #ohsofamous moments. I can’t wait to see what everyone else is wearing (hey, I might even be inspired to add a little more “cute” to my “comfy” winter outfits.